Does Your Story Grow Corn? As both a storyteller and an organic gardener, I love the question posed to me early in my career by a significant mentor. 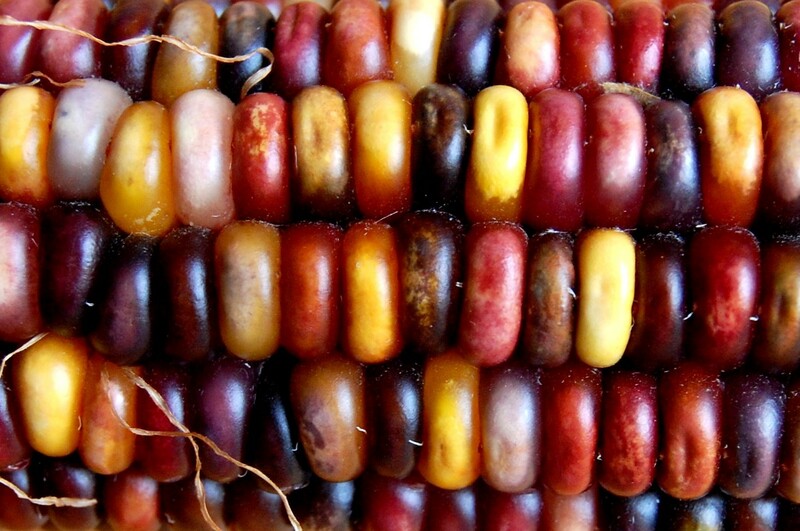 You see, for indigenous corn-growing cultures, gardening and harvesting or corn are collaborative community activities. And, because corn requires very nutrient rich well-watered soil, assuring repeat harvests requires conscious earth stewardship. So, in other words, does the story that guides your life, consciously or unconsciously, bring about positive results in the world for you, the community and the earth? Sometimes, though, we find ourselves struggling to live out a story that is not fully resonant with our inner truth. These stories hide and distort our dreams and yearnings and cause us to feel out- of-sorts, misaligned or outright despairing, confused, empty. When we feel caught in the repetitive cycles of our dramas we moan, “It’s the same old story.” These go-nowhere stories are the soap-opera level of our life story. Our healing and the healing of our collective story requires new stories or new levels of story. Restoring wellness requires re-storying our lives. How is it possible we could be living out , or struggling to live out, a story that is not essentially “ours”? Sometimes the simple wear and tear of busy, hurried lives causes subtle shifts off a true course, and over time these slight shifts become pronounced sidetracks. Subtle re-calibration towards a “true north” is all the healing that is needed. This assumes however, that one is already fundamentally rooted in a story that provides a “true north” to return home to. Many of us, though, are cut off from wisdom traditions of our ancestors, cultures and ways that provided well-grounded, vital, robust great stories and archetypes to re-calibrate towards. And, we may not be practicing skills and habits of deep listening that assures trustworthy inner guidance. In this vacuum, we absorb the story generated by the commercial marketplace that reinforces our sense of isolation, inadequacy and lack. For others of us, we may have been living out a story that served us well enough in one phase of our journey, but which is now somehow outdated and too tight, like a snake due for a skin shedding. Whatever the cause, when our guiding story is distorted, we experience disconnection from ourselves and others. The “true north” story of our essential inter-connectedness becomes eclipsed. How then do we heal, through story? Each stage of the healing journey is characterized by different relationships to story, guided by different, more refined questions. When we heal the suffering of the repetitive soap-operas in our life, we shift to a wider and more complete perspective ,aided in part by exploring the archetypal level of story. Rather than asking questions such as “Why me?” and “Who is to blame?”, we begin to identify themes and patterns and ask, “ How is my suffering essential to furthering my journey, my growth?”. “How is my suffering a reflection of the human condition?” At yet another stage in the healing journey it is extremely valuable to surrender focus on story, the past and future altogether, as we learn to live increasingly in the present. Of course this outlook too is rooted in story, the story that says the truth of out lives is revealed moment-by-moment in the present. Sometimes, when our story is deeply listened to, by ourselves or another, we feel more seen and alive. Other times, the fresh perspective offered by another expands or otherwise challenges our story, and this is the healing needed. There was a time in my life when I was deeply “out-of-sorts”. My supervisor at work, a clinical psychologist (without a holistic perspective), said I was “clinically depressed”. My MD said I had “chronic fatigue syndrome”. My acupuncturist said my “yin and yang” were “out of balance”. My spiritual guide and meditation teacher for that decade ,a rabbi**, said I was “out of alignment with The Source of Blessing”. All of them were right. Each one told the story from their vantage point. As you actively embark on or continue a healing quest of your own, I encourage you to avail yourself of trustworthy mentors and wisdom keepers while still remembering that they each see /tell the story from their own vantage point. Restore your life through re-storying, while remembering that only you are responsible for the seeing/telling …and living out your life story. May you be well aligned with The Source of Blessing and May Your Story Grow Corn. *Elizabeth Cogburn,Founder of The New Song Ceremonial Community ; featured in Shamans of the 21st Century by Ruth Inge Heinze. Happily we remain in profound conversation, now as Elder peers. **Rabbi Jonathan Omer-Man,Founder of Metivta/Center for Contemplative Judaism, largely responsible for the current resurgence of Jewish meditation practitioners and contemplative communities.